These stickers are dedicated to my friend Colleen English Mathers but these are free for everyone who wants to use these. 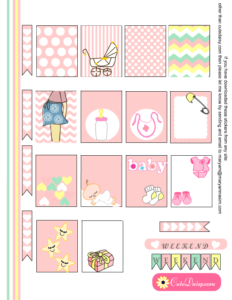 I have made these baby themed planner stickers in two sizes. 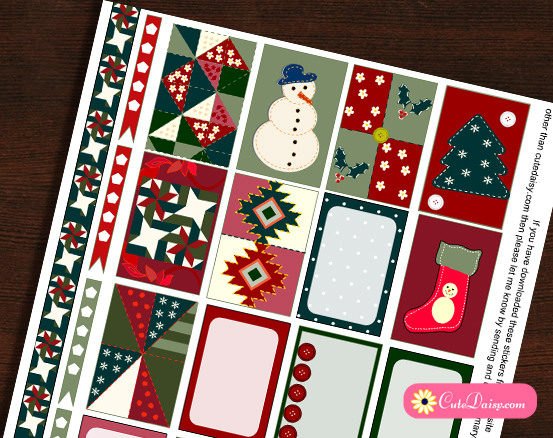 One will fit in to your Happy Planners and others are for Erin Condren or ECLP. You can use these stickers if you are planning a baby shower, expecting a baby, celebrating the birth of the baby or you just like the cute baby theme. I have made these stickers in cute baby blue and baby pink colors with two sheets in each color. These stickers are only for personal use. 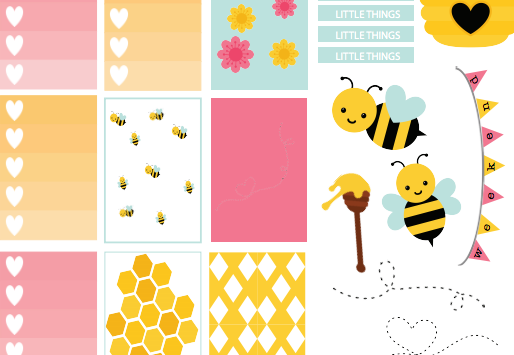 Here are two sets of these beautiful stickers for your happy planner boxes. Click here to download the sticker sheet 1 and here to download the second sheet of stickers. Here is another set of these stickers in lovely blue color. Click here to download the PDF file of sheet 1 and here to download the second sheet. 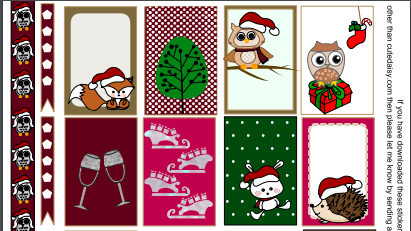 Click here to download the first sheet of these super cute stickers and here to download the second sheet. Click here to download the first sheet and here to download the second sheet. If you like these stickers then please pin these and share these. Love and blessings for everyone.